Directions: Corner of Main Street on Route 6 in Wellsboro. 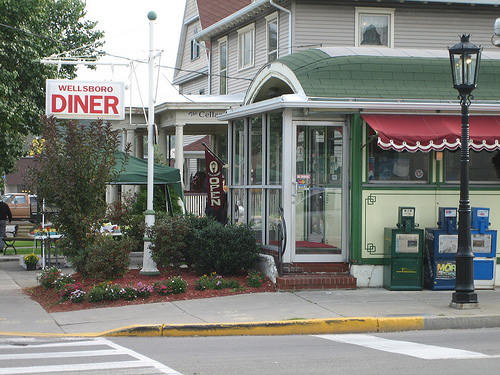 One of "THE BEST CLASSIC DINERS IN AMERICA," Huffington Post. Serving stacked hot roast beef sandwiches, delicious burgers, fresh-baked cookies, cakes, and mile-high pies!